Vitria BusinessWare integration platform works for complex business processes such as order fulfillment, supply chain interactions, insurance claims processing, and financial transactions. The practical tools provided by Way We Do are a perfect fusion of business process management, knowledge management, and real time compliance. Our cloud based SOP Software enables businesses and their teams to create and actively use policies and procedures as a natural part of day to day workflow. Using your Business Operations Manual as the source of instructions, managers can assign tasks, create automatic reminders, and monitor workflow, all without leaving the office. Team members receive daily emails with links to tasks that are due so they can use procedures and follow processes from anywhere, at any time. 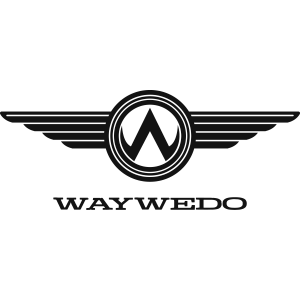 Way We Do provides clear instructions, easy monitoring, and seamless workflow integration that ensures quality, efficiency and consistency in any industry. Webparts360 provides you with the capabilities to renovate and re-organize Office 365 around business context so that information finds you instead of the other way around. Whizible is an integrated solution to manage all aspects of running a projectized service business IT Services, Product Companies, Engineering Services, BFSI and more - Where people with skills collaborate and deliver outcomes. Wonderware Skelta BPM helps organizations get work done intelligently, effectively and in a governed manner. Replace outdated procedures with digital instructions accessible via any mobile or wearable device. Improve efficiency and tracking of service delivery with Enghouse WebTop BPM Workflow, ensuring top efficiency through order orchestration automation, effective process management, and sophisticated configuration capabilities. WorkStreams TM Workflow Management System improves business process efficiencies by Integrating People, Process, Data, and Documents (P2D2). As specialists for the automation of business processes, we offer powerful, flexible and innovative tools for all digitization tasks with our X4 technology. Provide your team instant insight to events critical to your performance. Administer your contracts throughout their lifecycle—xFlow Contracts ECM is centrally organized and clearly arranged, with timely notification of deadlines. Xlogic is an integrated solution for the efficient organisation of your business processes and individual workflows. xSuite offers enterprises a broad range of intelligent, high performance workflow and process solutions.